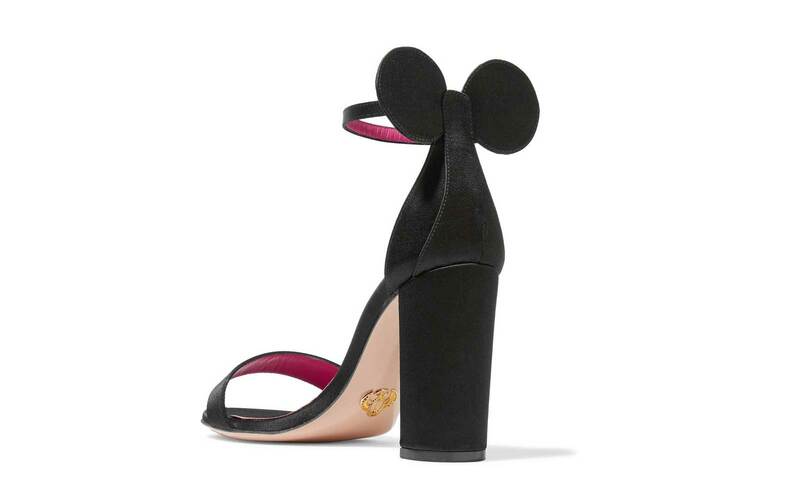 Sure, Cinderella's slippers were cool enough to send a prince on a region-wide search for their owner, but these Minnie Mouse heels are downright adorable. Before you let images of branded accessories or red and white polka dots cloud your mind, believe me when I say they're perfectly understated. These heels are a classic block style and feature two round appliques at the ankle, meaning anyone walking behind you will get a peek at your Minnie Mouse-inspired accessory — and no one else will. What that means: You can proudly show off your Disney love at work without garnering any weird stares from your fellow adult coworkers. The shoes are designed by Oscar Tiye and are perfect for mastering the day-to-night look without having to tote another pair of shoes to work. They will cost you a pretty penny, but doesn't any stand-out pair of heels?